Internet giant Alibaba Group Holding Ltd said on Monday it would invest HK$22.4 billion ($2.87 billion) for a major stake in China’s top hypermart operator, Sun Art Retail Group Ltd, part of a wider push into offline retail. As part of an alliance with Auchan Retail S.A. and Ruentex Group, Alibaba would buy the stake from Ruentex while Auchan Retail would boost its stake, the three companies said in a joint statement. The alliance would target opportunities in China’s $500 billion food retail sector, as Alibaba races to build big-data capabilities in the offline retail market where roughly 85 percent of sales are made. “Physical stores serve an indispensable role during the consumer journey, and should be enhanced through data-driven technology and personalized services in the digital economy,” Alibaba Chief Executive Officer Daniel Zhang said in the statement. Shares of Hong Kong-listed Sun Art, which were suspended on Nov. 13, resumed on Monday and were down 5.3 percent in morning trade, while the benchmark index .HSI was flat. The deal would give French retailer Groupe Auchan SA, China’s Alibaba Group and Taiwanese conglomerate Ruentex 36.18 percent, 36.16 percent and 4.67 percent stakes respectively in Sun Art. 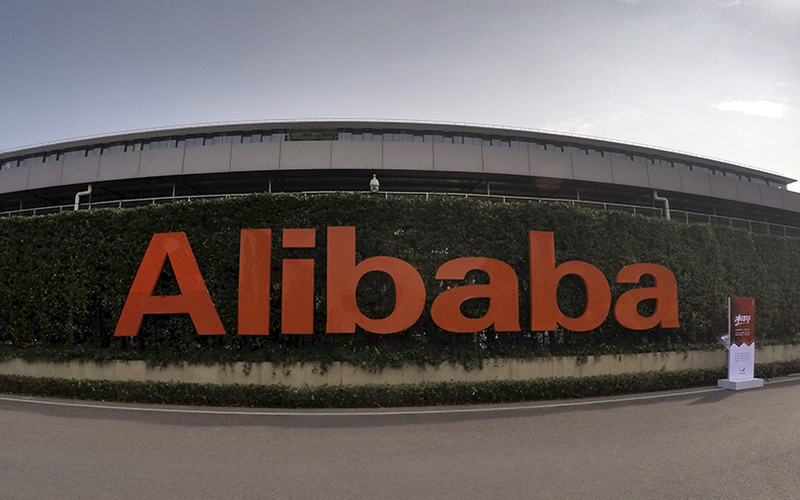 Alibaba would replace Ruentex as the second-largest shareholder. The $474 billion firm is taking more risks to secure offline, rural and overseas buyers as China’s urban e-commerce market shows signs of saturating, including purchasing extensive infrastructure which it had previously avoided. “They’re getting into a territory that’s not their core strength ... for example securing a property, the licenses to sell certain products, paying tax, more labor and so on,” said Bain & Company analyst Weiwen Han. Sun Art is China’s grocery store leader with about 8.2 percent of the market, according to data from Kantar Worldpanel. It has been slow to go online, with its platform Feiniu lagging bigger players like China Resources and Wal-Mart Stores Inc. In a separate statement, Sun Art said Alibaba’s Taobao China Holding Ltd would make a general offer for the company at HK$6.50 apiece.